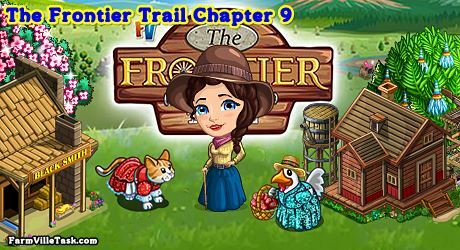 We will need our friend and the frontiersmen in FarmVille Frontier 101, a The Frontier Trail Chapter 9 Quests. This FarmVille Quests is one of the special 30 day mission where there will be no “asking for friends” part but just plant, harvesting and crafting. On this special chapter of The Frontier Trail Quests, we are going to craft 12 recipes at the FRONTIER STORE. Gather early the bushels that will be used so that you will be ready when the quests calls for it. We prepared a list of these bushels and you can find it just below of this guide. Note: Expected to be released on Friday (Sept 7). Info: 10 mins to grow and harvest. Info: Crafted at the FRONTIER STORE and will need Sapote Bushels x9, Gold Acorn Bushels x9 and Graviola Bushels x9. Info: 30 mins to grow and harvest. Quest Handicap: 250 – 225 = 25 amount to harvest. Info: Crafted at the FRONTIER STORE and will need Yellow Sunchoke Bushels x9, Pink Lemonade Berries Bushels x9 and Pinion Pine Nut Bushels x9. Quest Handicap: 275 – 247 = 28 amount to harvest. Info: 8 hour to grow and harvest. Quest Handicap: 300 – 270 = 30 amount to harvest. Info: Crafted at the FRONTIER STORE and will need Bamboo Totem Bushels x9, American Persimmon Bushels x9 and Pink Lemonade Berries Bushels x6. Quest Handicap: 325 – 292 = 33 amount to harvest. Info: Crafted at the FRONTIER STORE and will need Pink Lemonade Berries Bushels x6, Wood Avens Bushels x6 and Water Wasabi Bushels x6. Quest Handicap: 350 – 315 = 35 amount to harvest. Info: Crafted at the FRONTIER STORE and will need Purple Soursop Bushels x6, American Persimmon Bushels x6 and Cow Lily Bushels x6. Quest Handicap: 375 – 337 = 38 amount to harvest. Info: Crafted at the FRONTIER STORE and will need Blue Elderberry Bushels x6, Wood Avens Bushels x6 and Gold Acorn Bushels x6. Quest Handicap: 400 – 360 = 40 amount to harvest. Info: Crafted at the FRONTIER STORE and will need Water Wasabi Bushels x6, Pink Lemonade Berries Bushels x6 and American Lotus Bushels x6. Quest Handicap: 425 – 382 = 43 amount to harvest. Info: Crafted at the FRONTIER STORE and will need Gold Acorn Bushels x6, Ulluco Bushels x6 and River Spinach Bushels x6. Info: Crafted at the FRONTIER STORE and will need White Cherimoya Bushels x6, Pink Lemonade Berries Bushels x6 and Amaranth Flower Bushels x6. Quest Handicap: 450 – 405 = 45 amount to harvest. Info: Crafted at the FRONTIER STORE and will need Graviola Bushels x4, Cow Lily Bushels x6 and Wood Avens Bushels x6. Info: Crafted at the FRONTIER STORE and will need Water Wasabi Bushels x4, Sugar Cranberry Bushels x4 and White Cherimoya Bushels x6. Quest Handicap: 475 – 427 = 48 amount to harvest. Info: 3 days to grow and harvest. Quest Handicap: 500 – 450 = 50 amount to harvest. Info: Crafted at the FRONTIER STORE and will need Canna Lily Bushels x3, Pinion Pine Nut Bushels x3 and Yellow Sunchoke Bushels x3.